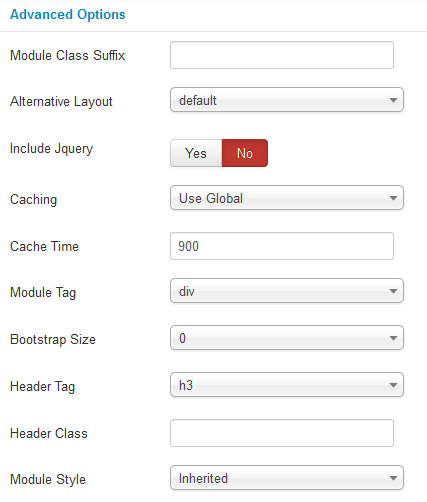 This guide will help you install SJ Contact Ajax module step by step. Select Contact – Allow to select contact to be assigned. Send copy to Submmitter – Allow to send a copy of form content to sender OR not. Facebook – Allow to show Facebook button OR not. Facebook URL – Allow to input Facebook URL here if in use. Twitter – Allow to show Twitter button OR not. RSS – Allow to show RSS button OR not. RSS URL – Allow to input RSS URL here if in use. LinkedIn – Allow to show LinkedIn button OR not. 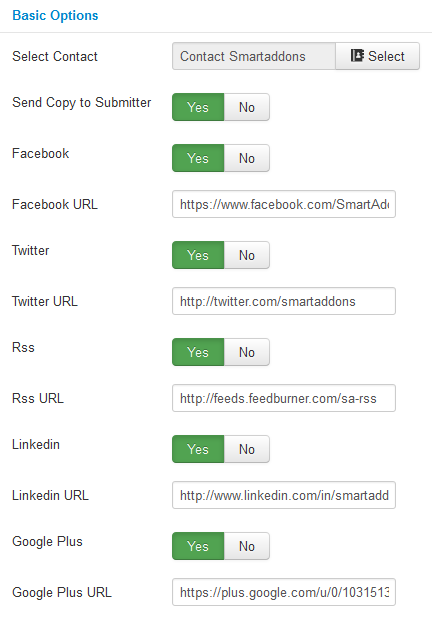 LinkedIn URL – Allow to input LinkedIn URL here if in use. Google Plus – Allow to show Google Plus button OR not. Google Plus URL – Allow to input Google Plus URL here if in use. Display Captcha – Allow to show captcha to protect from spam OR not. 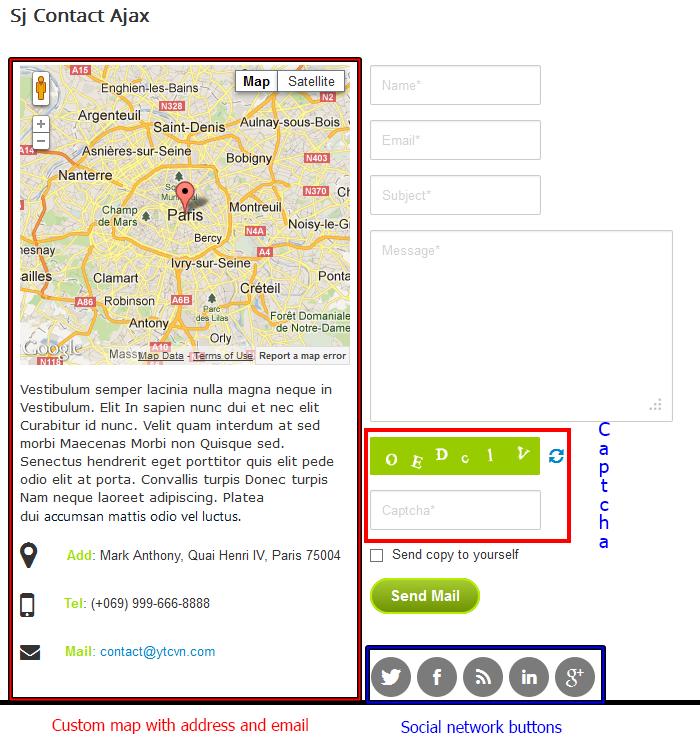 Captcha Type – Allow to set Custom catcha or ReCaptcha to be used. Hide when Logged in – Allow to hide catcha for logged in user. Display Maps – Allow to show map OR not. Maps Width – Allow you to set the width of map area. Maps Height – Allow you to set the height of map area. 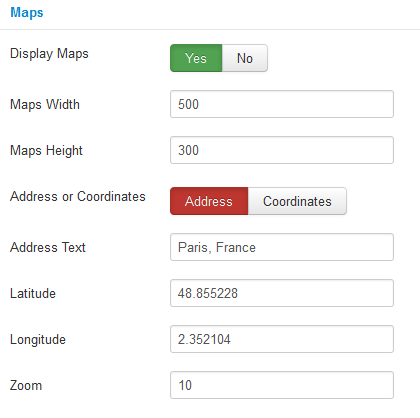 Address or coordinates – Allow to use address by text or coordinates by number. Address Text – Allow to set address text here. Latitude – Allow to set latitude by number. Longitude – Allow to set longitude by number. Zoom – Allow to input zoom ratio for map.